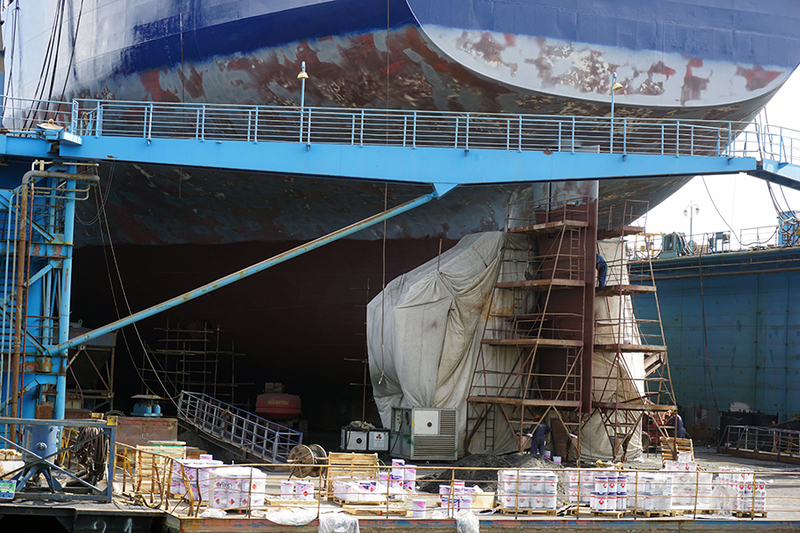 19 large repairs and conversions in 90 days | Odessos Shiprepair Yard S.A.
We are satisfied by the fact that we carried out large repairs and conversions of 19 vessels during the second quarter of 2014. Shipowners from Germany, Netherlands, USA, Russia, Greece etc. choose our services because of our established good relations and also for the high quality of the shiprepair services rendered which fully comply with the operational requirements. We are aware that every day spent at our shipyard results in large costs. Therefore, we complete the due repairs within the shortest possible time.